TORONTO, July 20, 2018 – CPA Canada has good news for students planning on becoming Chartered Professional Accountants. The CPA Professional Education Program (CPA PEP) will offer an additional writing of the Common Final Examination (CFE) in May 2020. "Flexibility around a key component of the certification process is important, especially with multiple paths available for individuals interested in becoming a Canadian CPA," said Joy Thomas, president and CEO, CPA Canada, in a press release. The three-day CFE is commonly offered in September each year, a pattern that followed the pre-unification chartered accountants decision to align its “uniform evaluation” (UFE) to the cycle of the audit year, with the spring reserved for tax season and summer for study. Following the unification of the accounting profession and its three designations (CA, CGA, CMA), however, the new CFE was briefly offered more than once annually. This week’s announcement marks a return to that practice. The decision is good news for students employed in the private and public sectors, rather than accounting firms, as they now have the flexibility to align their studies with the corporate fiscal year. The decision also makes sense from a brand perspective, as the CPA profession aims to recruit more students who pursue private sector rather than audit profession aspirations, and as an academic option to pursuing an MBA. "The Canadian CPA certification program is consciously adapting to today's rapidly changing business world," added Thomas. "There are definite advantages for our profession based on the skill set of Canadian CPAs; the ability to think creatively, to apply judgment and integrity, to analyze and manage and keep data secure." 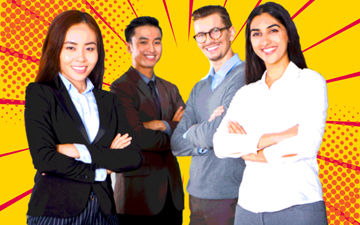 The CFE is a central component of the Canadian CPA certification program and assesses candidates on the competencies defined by the Competency Map, which outlines the knowledge, skills and proficiency levels required of a Canadian CPA. CPA PEP capstone modules will also be offered to complement the second examination date. Colin Ellis is managing editor of Canadian Accountant.